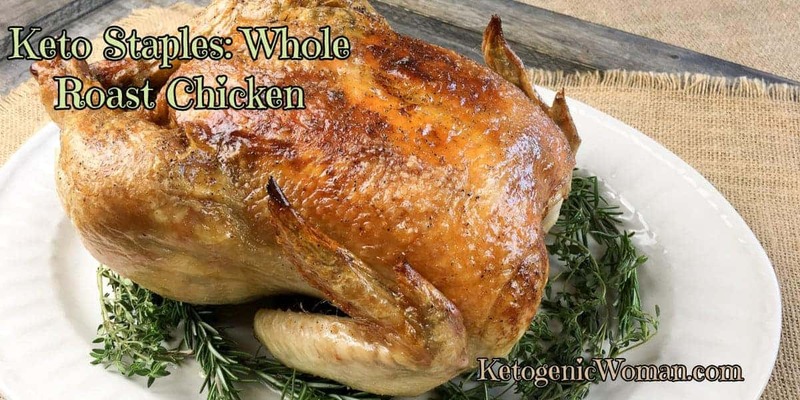 Chicken is such a versatile staple on the Keto diet that cooking a whole roasted chicken is a skill we all need to have! A whole roasted chicken should be full of flavor and juices and this recipe will make that wish come true! It’s perfect for Sunday dinner with the addition of some veggies, salad and mashed cauliflower. 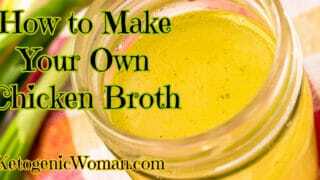 Use the leftovers to make a delicious homemade chicken stock and shred the leftover meat to use in soups, salads or a great casserole. 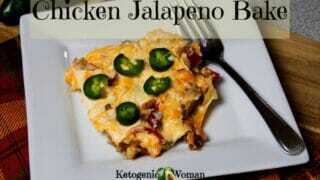 Try my Jalapeno Popper Chicken Casserole with your chicken leftovers! 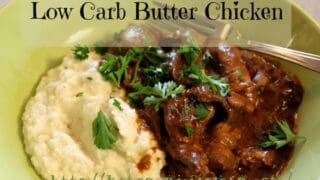 Mashed potatoes is a perfect side for Whole Roasted Chicken but loaded with carbs. My family actually loves it when I make mashed cauliflower puree. Try my recipe here. Keep the onion in this recipe either whole or in large chunks because it is simply used for extra flavor and to raise the chicken up from the bottom of the pan. You will be throwing it away because onions are fairly high in carbs compared to most vegetables. 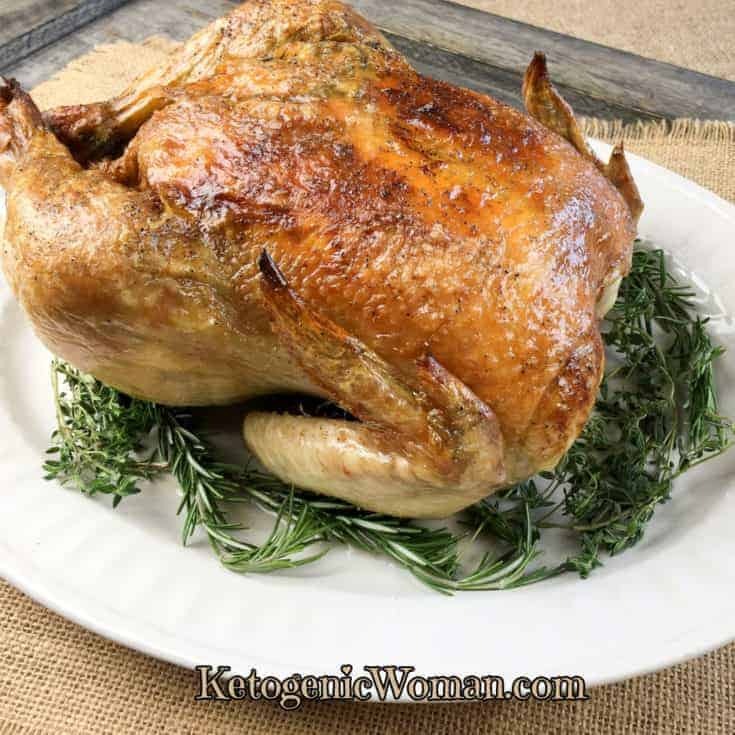 Chicken is such a versatile staple on the Keto diet that cooking a whole roasted chicken is a skill we all need to have! A whole roasted chicken should be full of flavor and juices and this recipe will make that wish come true!. It’s perfect for Sunday dinner with the addition of some veggies, salad and mashed cauliflower. Place onion chunks in bottom of a large, heavy-duty high sided oven proof skillet like this one. Place the chicken breast-side up on top of onion slices in skillet. Pat dry with paper towels and generously season the outside with salt and black pepper. Chop about 1/3 of the poultry herbs, discarding any rough stems. Place skillet in pre-heated oven and roast for 1 hour and 30 minutes or until a meat thermometer inserted into the thickest part of the thigh reads 165° Check every 30 minutes while cooking to make sure the skin isn’t becoming too brown. If it is, cover with aluminum foil after 1 hour and check for doneness after another 15-20 minutes. 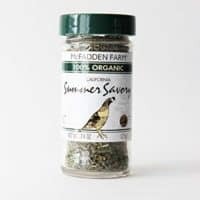 If you cannot get the fresh bag of poultry herbs, then use 2-3 tbsp of a good organic poultry seasoning blend. 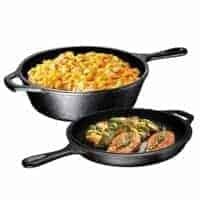 Ultimate Pre-Seasoned 2-In-1 Cast Iron Multi-Cooker ; Heavy Duty 3 Quart Skillet and Lid Set. As an Amazon Associate and member of other affiliate programs, we earn from qualifying purchases. 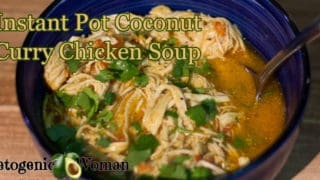 These recipes make good use of leftover roasted or rotisserie chicken to make Keto soups and casseroles! 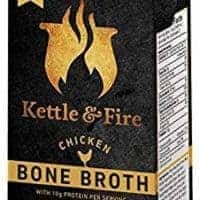 Tagged low carb chicken recipes. Bookmark the permalink.